What would you do with 40 million dollars? 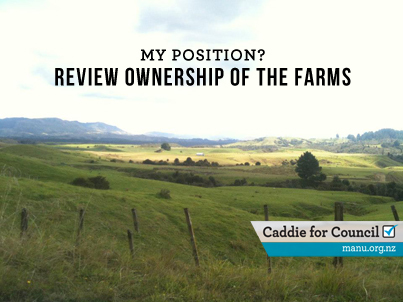 The possible sale of the Tauwhareparae farms should be part of a review of all council owned property says City Ward district councillor Manu Caddie who is making it part of his election policy for the October local government elections. While he is not committed to a sale at present he feels the financial returns from the farms do not justify the capital investment they represent. One possible solution would be to have the Office of Treaty Settlements buy them on behalf of the traditional Maori owners. Mr Caddie is frustrated that a promised review of the council’s business units has not yet happened, mostly because of staffing issues following the departure of the chief financial officer and the delay in finding a replacement until after the rest of the staffing restructure was completed. “Philosophically I have no problem with the council owning commercial entities provided they have either a strong income earning capacity or provide some other significant social, cultural or environmental benefit,” he said..
“I have complete confidence in the governance, management and operations of the farms, they are in the top ten performing units in the district and I believe those responsible for maximising profits from them are doing a good job of getting the best out of them. I also agree with Hilton Collier that there are opportunities for innovation and value-adding along the supply chain that the directors could focus more resources on. “However, the financial returns provided by the farms do not justify the capital investment they represent. “I disagree with the assessment that the return on investment has been over 15 percent for the last ten years. Including the land value in the ROI is dishonest accounting as it is not realised until the asset is actually sold and land values can go down as easily as they go up, though admittedly it is less fickle than some other investment options. “If we took the actual dividends paid, and perhaps even a portion of the capital reinvestment retained, it seems term deposits and even conservative options like Government bonds would have delivered millions more to offset income that the council otherwise derives from our rates. “Some sectors of the community have a strong emotional attachment – our rural councillors have tended to favour retention of the farms no matter what, though I have heard a number of farmers are keen to see council ownership reviewed as soon as possible. “The farm directors and managers over the years have been responsible stewards of the land by committing significant Overlay 3A areas to reforestation, though I would like to know more about the biodiversity offsetting proposed that would allow them to clear a substantial Protected Management Area of indigenous vegetation that will take some time to replicate elsewhere. “The farms have significance for local Māori and competing Treaty claims on the land meant that they were left out of settlements to date. So there is an option here that would take the risk out of the valuation price not being realised if the property went to market as the Office of Treaty Settlements would be obliged to purchase for no less than the latest registered valuation. “That option would guarantee that the farms will be retained in local ownership rather than being snapped up by an absentee owner. 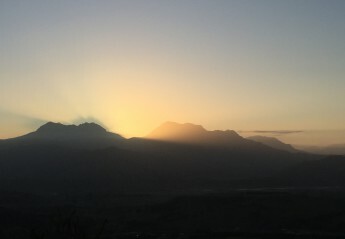 It would also provide a significant gesture of goodwill from the people of Gisborne to the traditional ‘owners’ of the area and combined with other investment capital from Treaty settlements could pursue some of the innovation potential. “So, at this stage I’m not saying I am committed to the sale but I am very motivated to have a thorough and independent review of council retaining ownership. “We should not let politicians get in the way of the facts! I think we need to have a good long look at the likely scenarios should we decide to sell or retain the farms and what protections can be put in place to ensure councillors don’t just squander any proceeds on popular projects that could diminish rather than enhance the overall financial position of council,” said Mr Caddie.